HALLOWELL — The Planning Board voted 5-2 to approve the final proposal for the relocation of the historic Dummer House and construction of a much-needed municipal parking lot. The plan will go before the City Council for final approval April 9. City Manager Nate Rudy hopes a 22-space gravel parking lot will be completed by Old Hallowell Day in mid-July. During a discussion that lasted more than 75 minutes, Planning Board members expressed concern about signs for the new parking lot and about whether people who live nearby could be blocked by delivery vehicles or distributors dropping off products at the Liberal Cup restaurant or other businesses on Water Street. Board members Jane Orbeton and Lisa Rigoulot opposed the proposal. Rigoulot said the plan lacked certain safety features. Code Enforcement Officer Doug Ide said the board’s task was only to review the proposal before them. “I have pledged that the city will advocate for the interests of the abutters,” Rudy said. Rudy said most of Dummers Lane — a small alley between two buildings on Water Street — would be absorbed into the parking lot design. He said he envisions installing signs highlighting the historical spaces on Second Street, including the Dummer House, the Dr. Hubbard House museum and the fire station. The other end of Dummers Lane, in the alley, would be traded to the owner of the buildings on each side — Liberal Cup owner Geoff Houghton — in exchange for land he owns behind those buildings because the city wants to maximize the space needed for the new parking lot. Rudy said Houghton plans to convert the alley space into an outdoor patio for the Liberal Cup or his other establishment, the Maine House lounge. According to the agreement with the city, Linda Bean — the granddaughter of L.L. 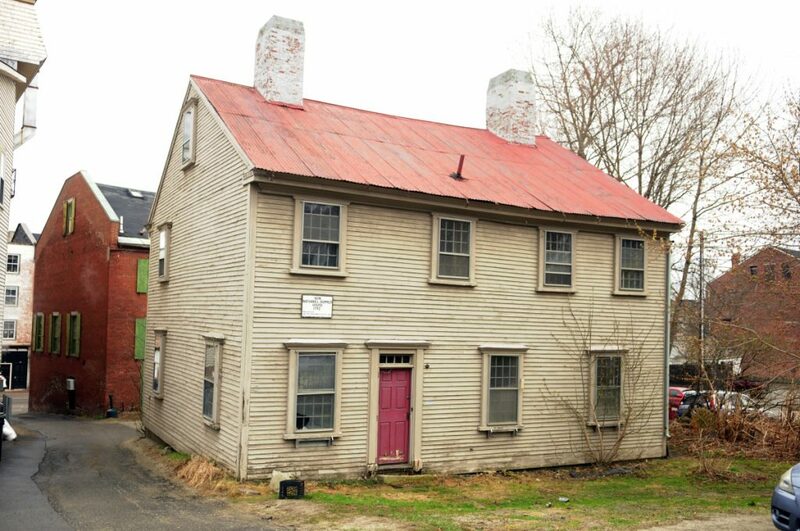 Bean’s founder and the owner of the Dummer House and adjacent land bordered by Second and Central streets — has agreed to move the historic house and sell the remaining property to Hallowell. Bean and the city have agreed on a $147,000 price for the remaining parcels of land. The work will be funded using the $300,000 voters approved last April as part of a $2.36 million bond package. The agreement stipulates that Bean will continue to own the house when it moves to its new location on the corner of Second and Central streets, and Preservation Timber Framing in Berwick will handle the move and rehabilitation of the historic building, which Bean acquired and first restored in the 1960s. Rudy and Bean’s representatives have been negotiating the deal for almost a year, and Rudy had hoped the city parking lot would be completed before the Maine Department of Transportation begins reconstructing a 2,000-foot stretch of Water Street in early April. But it is a complex deal, Rudy said, and the negotiations and associated legal work have taken longer than expected. The Dummer House relocation part of that plan was approved by the Planning Board in December. The lack of ample parking near downtown Hallowell has been something residents and business owners have lamented for years, and Rudy said there will be additional parking at the upper Public Utilities Commission lot. The DOT also suggested placing gravel down on top of the railroad line near Second Street, which would add almost 20 more parking spots. Nathaniel Dummer, for whom the Dummer House is named, was a veteran of the American Revolution and one of Hallowell’s early civic leaders. He served as the town’s first postmaster, from 1794 to 1802, and was a judge on the Court of Common Pleas in Kennebec County. He died in Hallowell in 1815 at age 60.